Days Inn Atlanta Marietta Galleria is ideally located with easy access to two of Atlanta's Interstate, I-285, and I-75. This hotel has been completely remodeled in the winter of 2007. 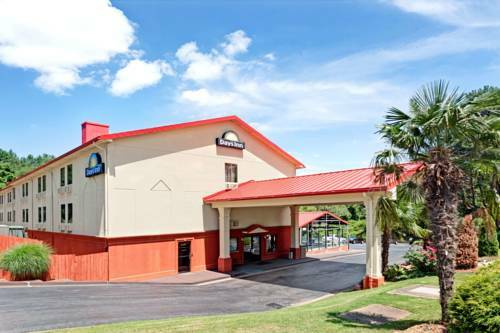 The Days Inn is minutes from Cumberland Mall, Cobb Galleria & Convention Center, Six Flags, White Water, American Adventures and Dobbins Air Force Base. We are ten minutes from Buckhead and it's great restaurants, shopping and night life. The heart of Atlanta is just 11 miles south on I-75. Where you can visit the New Georgia Aquarium, Turner Field, World of Coca Cola, Centennial Olympic Park, Phillips Arena, CNN Center and the Georgia Dome. Our friendly staff looks forward to your visit. Our rooms are clean and comfortable with many amenities. We offer complimentary Daybreak Breakfast and USA Today to start your day. We have an indoor heated swimming pool to help you relax at the end of your day. Wyndham Rewards welcomed, where it is more fun to earn more.